The international platform SIMM schedules an exceptional collaboration with universities and university colleges in and outside Belgium. SIMM seeks to become an inter-faculty and inter-university research platform. The inter-faculty and inter-university establishment of SIMM is in this specific research area considered internationally as a unique initiative. We are designing a multi-faceted approach and accompaniment of doctoral and post-doctoral research projects that will be welcomed in research seminars proposed by the SIMM-platform from 2018-2019 on. There are some studies on the social impact of art on people (in vulnerable situations). The added value of SIMM is the ‘association’ of the various disciplines and the fact that research can thus be bundled and can be approached from different perspectives. This we expect can strengthen the validity of the results. Since the beginning of its operation in 2015, SIMM maintained regular contacts with four different departments of the Ghent University Association: Conflict Research Group (Faculty of Political and Social Sciences, Ghent University), Centre for Children in Vulnerable Situations (Faculty of Psychology and Educational Sciences, Ghent University), Department of Health and Social Work (University College) and the School of Arts / Music Conservatory (University College Ghent), and SIMM intends to further develop these contacts in the future. SIMM has been in contact with several universities and colleges, which are already actively involved in the project through the organization of the annual international SIMM-posia (2017: Guildhall School of Music and Drama & Royal Holloway University London (RHUL); 2018: CIPEM Centro de Investigação em Psicologia da Música e Educação Musical, Porto; 2018-9: Zürcher Hochschule der Künste). A special partnership is now being discussed with the London Guildhall School of Music and Drama. Besides the fact that the Guildhall School organised and welcomed successfully the 2nd international SIMM-posium in London in July 2017, Guildhall is special for SIMM because of its investment in the training of socially engaged artists through its Performance and Creative Enterprise (PACE) undergraduate course and its Masters in Leadership. And there is of course also SIMM’s strong connection to John Sloboda, the president of SIMM, who is research professor at Guildhall. 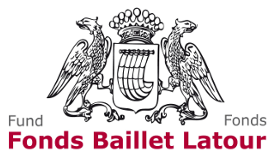 The start-up of SIMM in 2017 is made possible thanks to an important financial input by the Fonds Baillet Latour. The Belgian Fondation Future 21 decided to sponsor SIMM from 2018 on, in particular in support of our international comparative research projects. The precious partnership of the British fund SEMPRE is since 2017 giving support to scholars needing help to be able to participate in research seminars and symposia organised by SIMM. 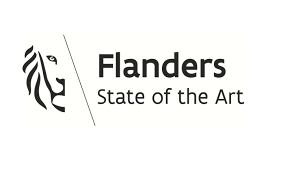 In December 2018, Sven Gatz, Minister of Culture of the Flemish Government of Belgium, decided to support SIMM. It is SIMM’s first subsidy from a government agency. Negociations are ongoing with several other governmental agencies who have shown an interest in helping the start-up and development of the research platform and network SIMM.